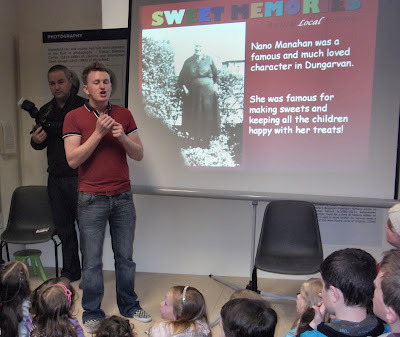 Darren gave a powerpoint presentation on the history of sugar and sweets through the ages and covered Irish sweet factories and local sweet shops. Helen dressed in the style of local sweet lady Nano Manahan recreated her famous sugar stick to the delight of all the children and adults alike. A big thank you to Helen, Darren, Emma and Ashling for a very successful event and to the staff members and committee members who helped out. The museum would also like to thank the Dungarvan Sweet Shop for providing sweets and for the event.